You are or want to become a licensed referee? Taxandria Soccer club is committed to developing young referee’s by paying for all training/ licensing courses needed as well as providing youth games to work and gain valuable experience. All referees, beyond the Saturday morning program, need Ontario Soccer certification. There are two involvement levels. If you want to referee Saturday morning only, send an email to paulmahon314@gmail.com to declare your interest. In mid- to late April there will be a four hour workshop, at no cost, at Taxandria to go over the essentials of refereeing small children. Coaches will also be welcome to come. Referees must be 10 years old by March 31, 2019 to attend. 2. Individuals who are 12 years old by March 31, 2019 can take training to do either small-sided games (players approx. 10 years of age or lower), or full sized games (referees must be two years older than the players they ref). 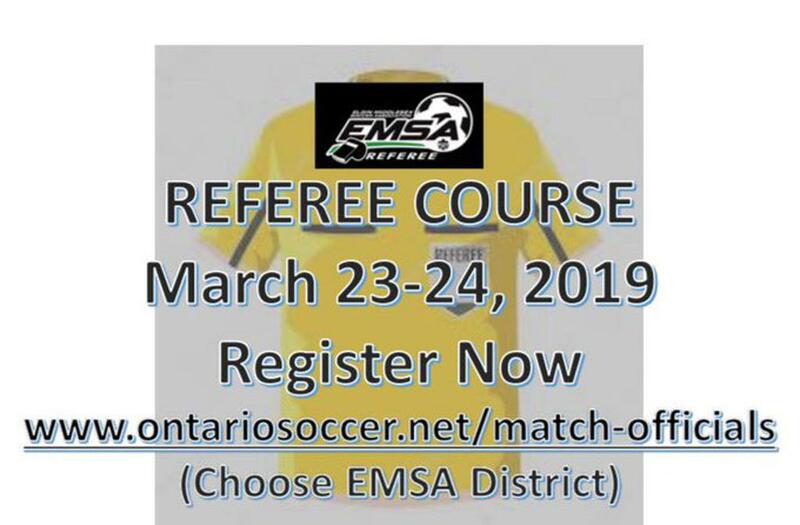 These courses are offered by Ontario Soccer through its local affiliate Elgin Middlesex Soccer Association (EMSA)((emsadistrict.com)). Some courses but not all courses have been announced in our district, they are likely to come in March and April. The first step is to register at refcentre.com (at no charge) and look for courses under 'registration'. In all likelihood this will involve attending a course in London, and doing some online work. A general proficiency test must be passed, and you must register as a referee. Taxandria club will reimburse all fees related to referee certification. If you are a returning referee, please be aware that you must be OS certified, and that all assignments will be coming through refcentre.com. If you previously had certification through West Middlesex Youth Soccer League only, this is no longer valid. Interested in becoming a sponsor of Taxandria Soccer Club? Want to participate in your local community? Become a sponsor for Taxandria Soccer Club and support youth in your area.